According to him, the UDF has realised the seriousness of the upcoming Lok Sabha elections as it is a fight to protect secular values and the Constitution of India. 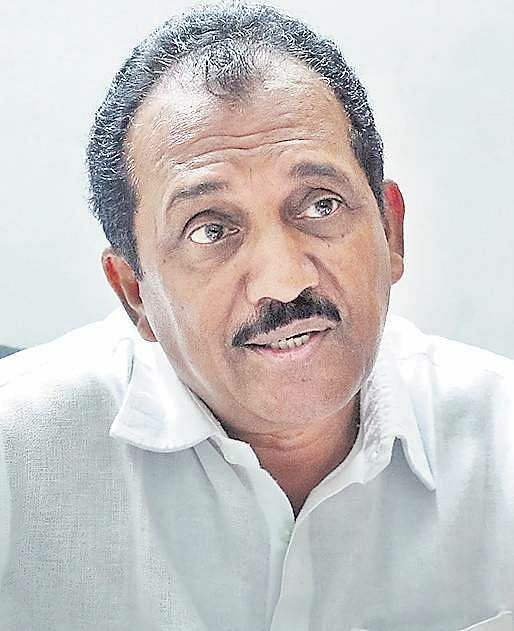 KOCHI: Putting an end to speculation that the newly appointed KPCC functionaries and UDF convenor may not contest the upcoming Lok Sabha polls, UDF convenor Benny Behanan denied the existence of any such arrangement or directive. “The Congress high command and the Parliamentary board of the party will take the final call on the candidates. How can the party issue a guideline specifically for Kerala?” he asked. However, Behanan, in an interview with Express, said the UDF will finalise the candidates for the general elections in advance, contrary to the earlier style of declaring the candidates in the final stages. The UDF will gain advantage in the elections with its grass root level preparations which have already begun. How advanced are the UDF preparations for the 2019 LS polls? This is the first time the UDF has completed preparedness ahead of an election. The 20 Parliament constituency conventions have been completed along with 70 per cent of the Assembly constituency conferences. The UDF this time is in a position to begin its campaign as soon as the poll dates are announced. By November 15, booth-level committees will come into existence. As part of enhancing the organisational strength at the grass root level, booth committees are being constituted. This too is a first. Will there be fresh faces in the fray? We haven’t begun talks on the candidates to be fielded as the time has not come for that. There have been reports the Congress and the Kerala Congress will exchange the Idukki and Kottayam LS seats and AICC general secretary Oommen Chandy will contest from Kottayam. Is there any truth in that? Such a rumour was spread intentionally to destroy the Congress-KC (M) relationship. To end this, the Opposition Leader has clarified KC (M) will contest from Kottayam. The UDF is very much united as all constituents have realised the seriousness of the upcoming LS polls. What are the major issues the campaign will stress upon? The Rafale deal and the rocketing fuel prices are the main issues that will be highlighted. The KPCC has decided to conduct a dharna and a public meeting on the burning issues of fuel price and Rafale deal on October 15. The Prime Minister had signed the deal without the involvement of any of his colleagues, including the Defence Minister. He signed the deal for a company which was not in existence to favour Ambani. The state government is also responsible for the fuel price hike as it is not ready to roll back the tax imposed by it. The state is imposing a tax of Rs 20 per litre of petrol and diesel. If that is exempted, it will be a big relief to the people. Earlier, Oommen Chandy had omitted this tax. Though many states have now decided to slash taxes, Finance Minister Thomas Isaac is saying the state government is not ready to commit such foolishness. Will the UDF conduct protests in connection with the recent Sabarimala verdict? The Congress has made its stand clear, and it is the UDF’s stand too. We are with the devotees. The BJP and the CPM are trying to exploit the situation politically. The CPM is attempting to create violence more than the BJP in Sabarimala. They have announced protection to women who will be going to Sabarimala as part of an intentional move to create issues. How many of the orders have been implemented by the Pinarayi Vijayan government so far? When a verdict was issued in the Lavalin case, the CPM conducted agitations against the judge who issued the order. The same people are now attempting to implement the order in a hasty manner.